Summary: These exercise moves can help you feel better after you’re stuck at a desk all day. A considerable amount of people in America spend their days sitting at a desk. Whether we work in an office, work from home, or are students, we constantly hear about how sitting is bad for our health. One thing it can lead to is poor posture, since we often slump forwards and towards our computers. Here are six strength moves to work on that can not only improve your health and fitness, but your posture as well. 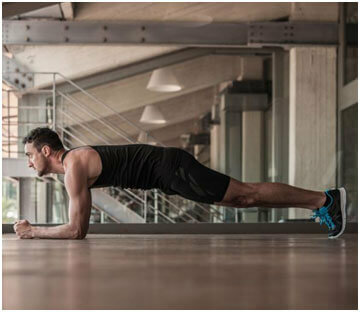 Plank: posture is most often affected by our back and ab muscles, and the plank works both of these well, along with many other muscles in your body. Bridge: this move helps to strengthen your lower back and your hips, which can help keep your lower back from getting sore. Single Leg Hip Extension: this move helps to align your hips, which can often become a problem when crossing your legs while sitting. 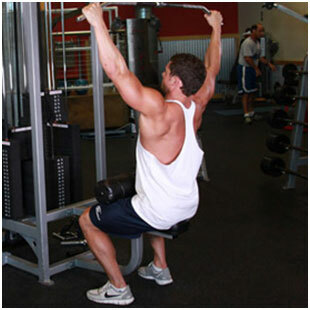 Lat Pull Down: this weighted move helps to strengthen your upper back, which is essential in keeping your shoulders pulled back and your chest up. T-Stretch: this stretch helps with your tight chest muscles, which rarely get stretched out when we’re sitting with our arms forward at a keyboard. This move helps you to pull back your shoulders, resulting in better posture for the rest of your body as well.